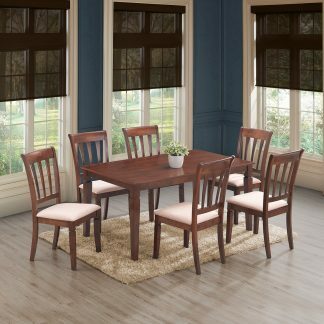 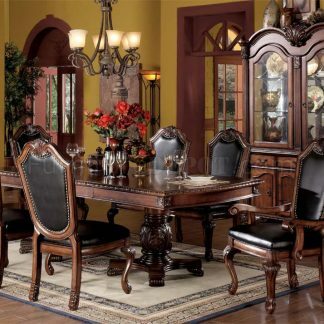 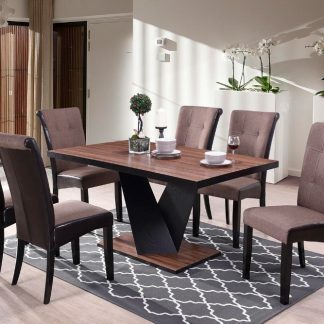 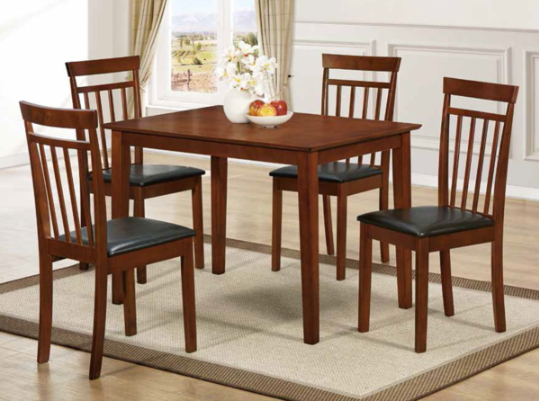 Coated in a warm finish, the Carnation dining set proves to be small in scale and classic in style. 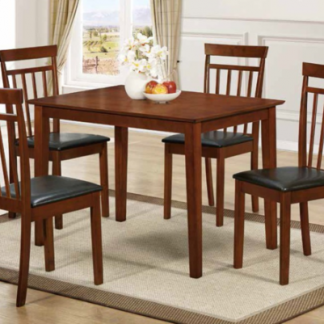 The square tabletop is perfectly sized for apartment living, or for a compact breakfast nook. 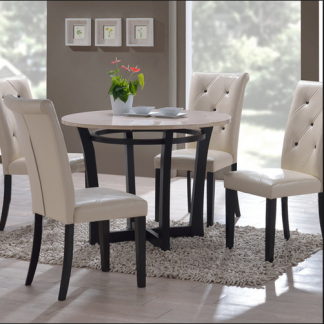 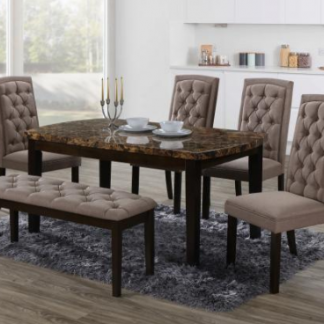 Complete with cushioned seating and tall rake-back styling, your friends and family will enjoy sitting around and chatting long after mealtime has ended.